Johnnie Hoskins (1892-1987). Often credited with the invention of the sport, the New Zealand-born speedway rider perhaps didn’t invent speedway but he did play a major role in its popularisation, especially in the UK. He arrived to Britain in 1928 and helped promote or co-promote many clubs across the UK. For his services to the sport, Hoskins was awarded the MBE in 1979. Roger Frogley (1908-1974). One of the pioneers of British speedway is remembered for beating the renowned Australian rider Ben Unwin and as the first winner of the “British” Star Riders’ Championship in 1929. He retired from speedway racing in 1932. Ivan Gerald Mauger (1939-). Winner of the record 6 World Championships, the former New Zealand speedway rider was awarded the MBE and the OBE for his contribution to the sport. In 1990, he was also inducted into the New Zealand Sports Hall of Fame, while the Olympic Committee chosen him as the carrier of the Olympic Torch at the 2000 Sydney Olympics. Ove Fundin (1933-). Five time winner of the Speedway World Championship, Ove Fundin made 15 appearances in the World Final, never finishing below 3rd place in a record 11 finals. Nicknamed “the Fox” for his red hair, the former Swedish speedway rider is by many considered the greatest rider in history of the sport. Barry Briggs (1934-). 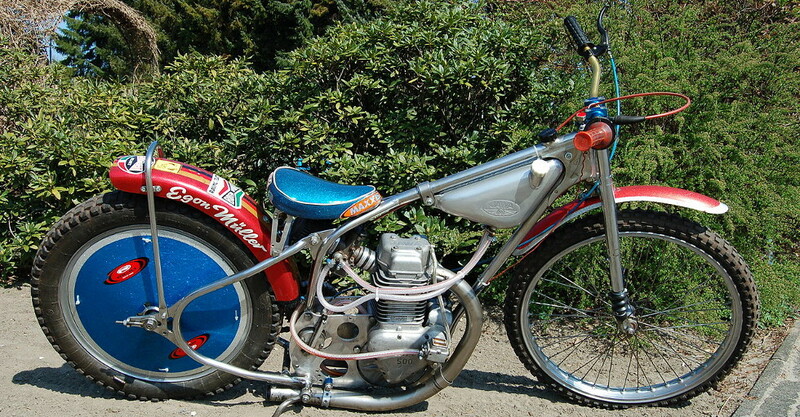 The former New Zealand speedway rider appeared in a record 17 consecutive (18 in total) World Individual Championships and won on four occasions. He also won 6 British Championships, 1 London Riders’ Championship, record 6 British League Riders Championships and 2 New Zealand Championships. Hans Hollen Nielsen (1959-). 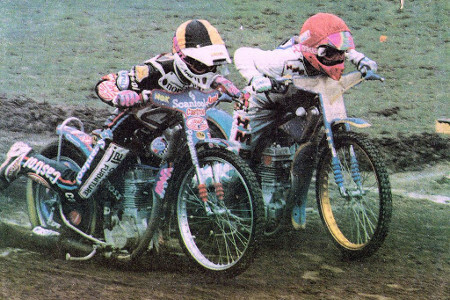 The famous Danish speedway rider helped win 22 World Championships for his national team, including 3 individual World Championships. Next to Tony Rickardsson, Nielsen is the only speedway rider in history to win all world titles. Tony Rickardsson (1970-). One of the most successful speedway riders of the modern era can rival the greatest names in history of the sport. In 2005, he won his sixth Speedway World Championship by which he equated himself with the legendary Mauger. By the time of his retirement in 2007, the Swedish speedway rider also won 7 Swedish Championships, 3 Swedish League Championships, 3 Polish League Championships, 4 World Cups, 2 Peter Craven Shields, 3 British Elite League Championships and a World Pairs Championship.